Whether you live in the local community or planning a trip to the Hampton Roads area, come and see what Norfolk State University has to offer. On your campus visit you will have an opportunity to speak with an admissions officer, take a tour of campus, and meet with current NSU students. Campus tours are hosted by the NSU Student Ambassadors. A visit to campus will include an information session and a walking campus tour. Tours are available throughout the year except for holidays, student registration, midterm exams, final exams and university breaks. 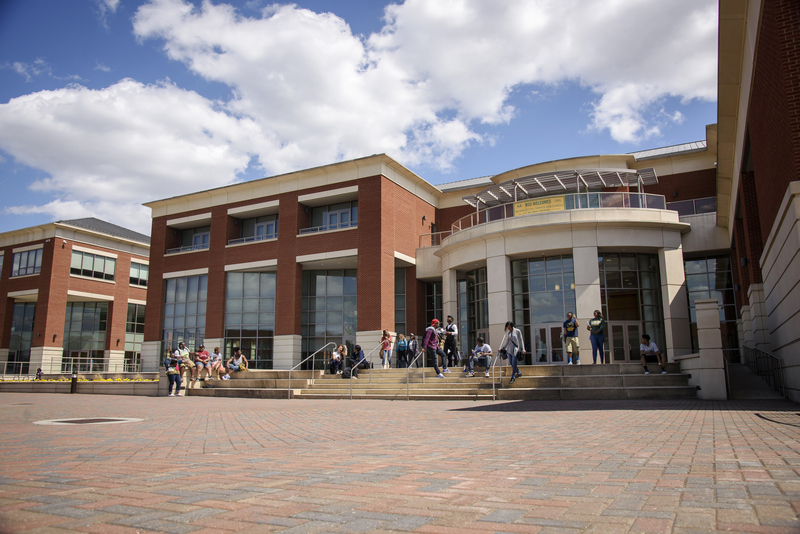 Tours are available: Monday, Wednesday, Friday: 11 a.m., 1 p.m. or 3 p.m.
Spartan Tours are designed for families and individuals interested in Norfolk State University. Spartan Tours include an information session by an NSU Admissions representative that provides an overview of the academic programs, admissions process, financial aid and scholarships. Please submit a Campus Tour Request Online Form at least one week prior to the desired date of your tour. Group tours are available for school, community and church groups of 7 guests or larger. The campus experience may be tailored to the group's needs. If there are any special requests or special needs, please include this on your request form. All group tour requests must be submitted at least one month in advance by completing a Campus Tour Request Online Form. Requests received after this timeline may not be approved. Complete the Campus Tour Request Online Form. An email confirmation, including directions and a parking pass, will be sent to the e-mail address provided on your form within 72 hours of your request. If you have any questions, please contact the Office of Admissions via email at campustours@nsu.edu. Please arrive at least 15 minutes prior to your scheduled tour. Please allow 90–120 minutes for your visit. The information session includes a Q & A so exact time on campus is hard to determine. If you need to depart campus by a specific time, please share this with the Admissions representative and Student Ambassador. If there is inclement weather, please check to ensure the University is open prior to traveling to campus. Tours may be cancelled for unsafe weather conditions such as lightning or heavy winds. If you will be more than 15 minutes late for your scheduled time, please contact 757-823-8396 immediately. We will make every effort to accommodate late arrivals. However, in an effort to keep on schedule when arriving late, the family or group may be asked to complete a self-guided campus tour.